From paying bills to booking a cab, or simply suggesting your favourite meal or finding a doctor near you, there’s practically an app for everything and conversational commerce is slowly but steadily entering the lives of tech consumers. While chatting robots or chatbots have taken over the role of a personal assistant in the lives of its users, there a host of other ventures that are emerging to make life easier for its users. The intersection of messaging apps and online shopping which allows businesses to utilize apps such as Facebook Messenger, WeChat, WhatsApp, or even voice technology like Amazon Echo. Customers can chat with an AI robot and ask questions, receive customer commands and personalized recommendations or purchase products all within one channel. In conversational commerce, customers can interact with human representatives, chatbots, or both. Conversational commerce is not only exclusive to messenger chatbots, but even company representatives. For businesses, the e-commerce chatbots can be used to automate customer service messages and send information regarding their orders, (such as shipping and delivery notifications) resolve any issues and interact with customers in real-time. 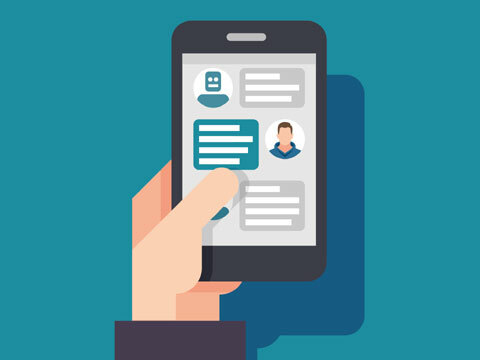 Further, from understanding a customer requirement to providing alternatives and receiving feedback, chatbots can be personalized and can talk to users at every stage of a purchase process. “Technology is making our lives simpler and transforming the way we live and work. Artificial intelligence will usher in a better world and with chatbots, brands can make sales in a more customized manner, catering to the needs of the consumers. Having a bot strategy for brands in India holds importance due to the growing population of smartphone users, which stands over 250 million and is the second biggest smartphone market after China,” says Sachin Kelkar, Head (Partner Program), Intel. A ‘desi’ version of Siri, Aisha can perform tasks like initiate Google search, make calls, give movie reviews, read news among other tasks. It is one of the most popular bots in India. One of the most advanced bots and messaging platforms, it enables developers to quickly and easily build, test, deploy and manage chatbots across all messaging channels. Its software programs can interact with each other for all the popular messaging platforms, including SMS, Facebook Messenger, Slack and Telegram. MagicXhelps you with your day-to-day tasks like bill payments, food order, travel bookings, among other daily chores. It learns from human interaction, giving a sense of more human like responses, but highly scalable at the same time. MagicX can be found in more than 20 e-commerce platforms. Two years ago, Niki.ai started by responding to requests for services such as cab, food delivery and phone credit top-ups.This fully automated chatbotnow works up on the concept of artificial intelligence with no human intervention. It has so far served over 50 million interactions. Engati is a chatbot platform that allows you to build, manage, integrate, train, analyse and publish your personalized bot in a matter of minutes. It presently supports eight major messaging platforms including Messenger, Telegram, Line, Viber, Skype, Slack and Webchat with a focus on customer engagement, conversational commerce, and customer service and fulfillments.